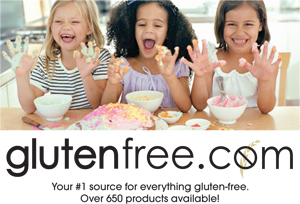 How do you Diagnose Celiac Disease? One of the tests that a doctor will perform for evidence of celiac disease is a simple blood test. People with CD will have above normal levels of specific antibodies that work to eliminate foreign substances. People with an intolerance to the gluten protein will produce these specific antibodies at a higher rate because their bodies are treating the gluten as a foreign substance. Once the blood test results are read by the doctor, he/she may want to confirm the diagnosis by performing an endoscopy to visually detect the destruction of the small intestine and the damaged villi. The doctor may also perform a small biopsy and remove a small portion of the intestinal lining or tissue to further confirm damage to villi caused by the gluten protein. Once both the blood test and endoscopy are confirmed, the doctor will probably ask you to start a gluten free diet immediately. After a short time period, he/she may have you return to the office to perform another blood test and/or another endoscopy to confirm that healing of the intestine has improved and that the blood test shows decreases or elimination of the antibodies discussed above.